Web-based Asset Management Software for your business. All businesses need a system to keep track of the location and status of company assets. Have you ever needed something "right now" and then wasted far too much time searching for it? Forget who had something last, and now it's "missing"? How much more efficient could your organization be if you could look up any of your company's assets online and immediately find the last recorded location and status? Asset Manager Web Edition is designed to help with all these issues. Track assets online in a central location. 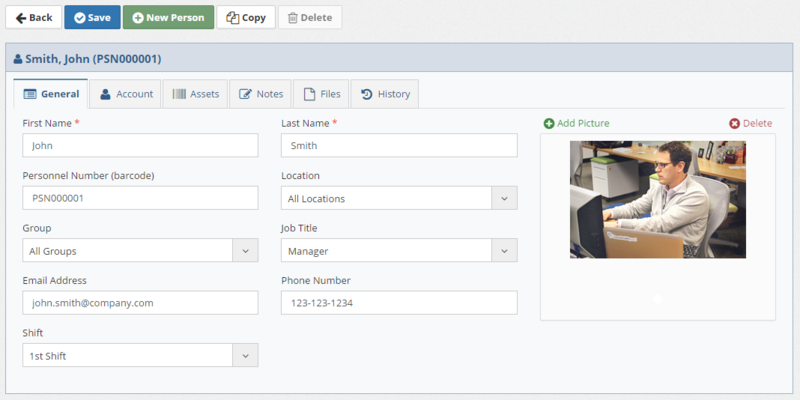 Check assets out to your employees, and maintain a history of who has had it. Attach any kind of file such as pictures, manuals, warranty information, etc. Keep track of related vendors and contacts. Print and save asset reports. 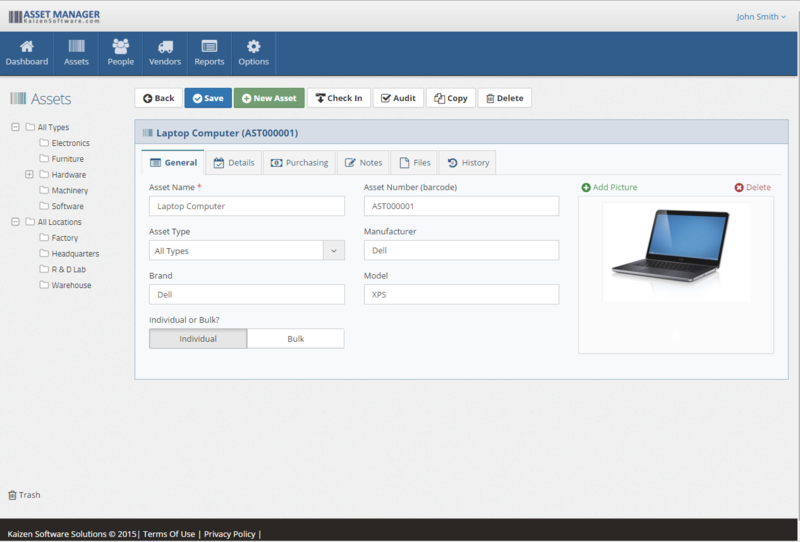 Since this Asset Management Software is web-based, there's nothing for you to install or maintain. You can get a free account to try it out and begin tracking assets right away. 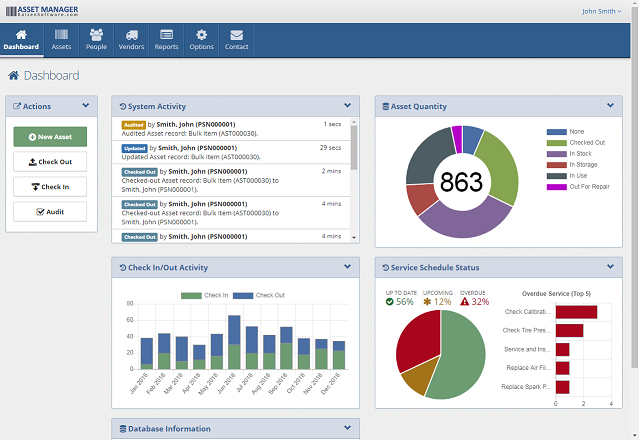 View asset, activity, and service status charts. View and filter the Asset List. Asset Service schedule with Color-coded Status Indicators.